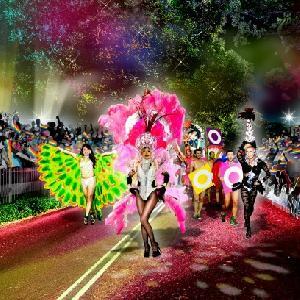 The Sydney Gay & Lesbian Mardi Gras is well known throughout the world as being the largest and best loved LGBTQI (Lesbian Gay Bi-Sexual Transgender Queer Intersex) celebrations. During the course of this 3 week long gay pride festival the weather in Sydney is generally warm and sunny, which lends itself to a lot of open-air celebrations and festivities. The accommodation in Sydney for the duration the festival is generally booked up a few months before the start date, with the exception of the Sydney Mardi Gras Parade date which always sees the hotels, apartments, motels and backpackers totally booked out well in advance, so book early. The Mardi Gras Parade is FREE (but get there early for a good spot). You can also purchase for The Flinders Seats which gives you a great view of the Parade and also the finale performance. The Festival Events and Parties are held at various locations around Sydney. 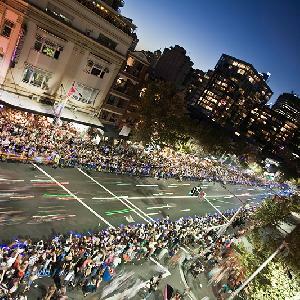 The Sydney Mardi Gras Parade is held along Oxford Street from Hyde Park to Moore Park. The best way to get into the Sydney Mardi Gras Parade is to catch public transport, with extra buses and trains being put on for the event. The closest train station to the Parade route is Museum station, which is just a short walk through Hyde Park to the beginning of Oxford Street. Alternatively you can also catch a train to Central Station and then walk along Foveaux Street to Flinders Street which is near the end of the Parade route. You can also drive into the city in order to see this spectacular event, but be aware that there will be numerous road closures and extended clearway (no parking) zones in and around the Darlinghurst, Paddington and Haymarket areas. If you want to stay close to the Mardi Gras Parade then the Accommodation Sydney Hyde Park Plaza is the ideal place for you with fully furnished & self contained studio, 1, 2 & 3 bedroom apartments available for short or long term stays. The Accommodation Hyde Park Plaza is conveniently positioned opposite Hyde Park right near Oxford Street, with restaurants, bars, nightlife, shopping and major tourist attractions nearby. With a range of studio hotel accommodation that is contemporary in design and affordable in price the Lido Suites Kings Cross provides a great place to stay in the heart of Sydney. This unique property is perfectly positioned in the heart of lively Kings Cross and is set amongst the area's famous nightspots, clubs, restaurants and cafes, as well as being just 50 metres from Darlinghurst Road's lively pub and music scene. If you are coming for the Mardi Gras and want somewhere to stay in Sydney for a relaxing holiday experience then the Ultimate Apartments on Bondi Beach is ideal. These fully furnished studio apartments are conveniently located in the central Bondi village and are within 5 minutes walk of Sydney's world famous beach and a short commute away from Oxford Street and the Mardi Gras Parade. The Great Southern Hotel is superbly located in the Sydney CBD and is the perfect location for both tourists and business clients needing an affordable place to stay in Sydney. Accommodation in this Sydney hotel places you within easy walking distance of the city centre, public transport, Darling Harbour, Oxford Street, the Sydney Exhibition Centre and Paddy's Markets. Being well positioned in a central location in Sydney's East the Waldorf Furnished Apartments provides all sorts of different travellers with a range of modern 1 & 2 bedroom self contained serviced apartments that have all the creature comforts of home. The Waldorf Furnished Apartments in Randwick are located next to the Randwick Racecourse and less than 4 kms from the Sydney CBD.